James Wharton O'Keeffe, B.A., B.S. James O’Keeffe has been an award winning cinematographer for over thirty years. His work includes, features, movies of the week, commercials, documentaries, and TV pilots, as well as hundreds of hours of television programming. His feature film projects include Mike Figgis’ “Time Code” and “Execution” by Ghost Rider Pictures. 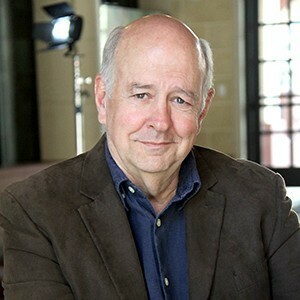 His award-winning documentaries include “No Greater Love” which won a national Emmy and the highly successful TLC documentary “Brace for Impact”. The International Cinematographers Guild honored James with Emerging Cinematographer Awards for two films, “Cruel Logic” and “MAX”. He also directed “MAX” which won best short film in five festivals and was a finalist in four others. James directed and co-produced “GO PUBLIC: A Day in the Life of an American School District”, which was selected for the American Film Showcase, won Best Documentary at the Catalina Film Festival and the President’s Innovation Award at the Burbank International Film Festival. GO PUBLIC was also chosen by Edutopia as one of the five best education documentaries from 2013-2014. James has been an adjunct professor of cinematography at the USC School of Cinematic Arts for 15 years and was a nominee for USC’s 2012 Steven B. Sample Teaching and Mentoring Award. Jim is married to Dawn Carson O’Keeffe, a television and film producer, and together they own Blue Field Productions. They are blessed with four great kids and reside in Pasadena, CA.